The economics of farming today requires that dairy operators invest only in capital assets that produce a high rate of return on investment (ROI). Large, expensive pieces of farm machinery which are used only a few days out of the year are, in many cases, unprofitable for one farm to own. This economic reality has given rise to a number of professional Custom Operation businesses around the state, who own the large equipment necessary to harvest high quality alfalfa, corn silage, and feed grains in a timely manner. While most users of custom operation services are generally satisfied, disagreements can and do arise on occasion. In many cases these disagreements are the result of some type of misunderstanding, failure to get working agreements in writing, or not understanding how custom operators “operate”. This paper is designed to help both custom operators and dairy producers understand the elements necessary for developing a successful working relationship. Should You Be Using A Custom Operator? Your current line of machinery is not large enough to preform cropping operations in timely fashion, thereby limiting forage quality, crop yields, etc. How many growing season have you used this custom operator? Were you generally satisfied with the custom operator’s service? Did the custom operator conduct themselves in a business-like manner? Did they have a printed price sheet and contract ready for use? Barring adverse weather, how timely was the custom operator with harvest of alfalfa and corn silage? If bunker silo packing services were used, how satisfied were you with the quality of packing? 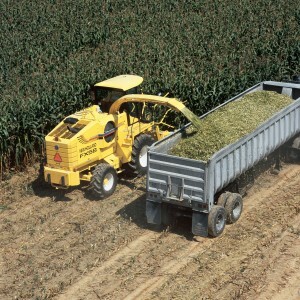 Has your forage quality improved, stayed the same or declined since using the custom operator? How well did the custom operator deal with machinery breakdowns, weather delays, absent crew members, etc? Did the custom operator’s employees seem to have a good attitude and morale? Did they report to work on time? Was the custom operator’s machinery in good working condition, or was it poorly maintained and/or subject to frequent breakdowns? Did the custom operator let you know when he/she was expecting to arrive at your farm, and whether or not they would need some help from you and/or your employees? Did the custom operator offer different payment plan options? Was the custom operator willing to listen to any concerns you brought to their attention? Were they willing to take action to alleviate those concerns? Does the custom operator seem to have a general sense of control over his/her business? Next, have an off-season meeting with prospective custom operators. Invite them to your farm so they can learn about your operation, see your feed storage facilities, learn field locations, etc. Ask if they can meet your needs in a timely manner. You should have a complete set of field maps available at this time, with the correct acreage listed for each field. Field maps can be sketched neatly with identifying landmarks drawn in, or made from airphoto copies (available from your local Farm Service Agency Office). If you have computerized field records, print out a set of field maps for the custom operator. Then ask the custom operator about THEIR operation, what type of equipment they use, the age of their equipment, their equipment maintenance program, how many employees they need for various operations, and how many persons you will need to make available for hauling and other jobs. Will you be able to provide enough labor for hauling when the custom operator needs assistance? If not, be prepared to pay for extra crew members hired by the custom operator. Also ask the custom operator about their operating capacity — how many acres can they plant or harvest per hour? Will they be able to handle the workload on your farm? Most dairy producers want to know their crop yields per acre. Will the custom operator ensure an accurate record of load counts off each field? If so, who will provide the forms needed to record the load counts? The custom operator may also wish to interview YOU! Providing references works both ways — be willing to provide both personal and credit references. Realize that custom operators are a business, just like your farm operation. They need to have firm commitments for work to be performed well in advance. This allows them to schedule their operations, hire an adequate number of employees for the season, secure additional equipment if needed and arrange financing. Many custom operators will ask you to sign a contract for services. A written contract will protect BOTH parties’ interests and prevent either party from reneging. Read the contract thoroughly before signing, and be sure to ask the custom operator for any clarification needed BEFORE you sign. 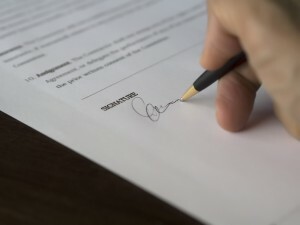 If you have any concerns about items in the contract, have it reviewed by your attorney BEFORE signing. Perhaps the custom operator may be willing to modify his/her standard contract somewhat to fit your needs. Another important reason to get all agreements in writing is so that both parties will have legal protection under state law. Wisconsin State Statute 402.201 Formal requirements; statute of frauds states under part (1) that “…a contract for the sale of goods for the price of $500 or more is NOT enforceable by way of action or defense unless there is some writing sufficient to indicate that a contract for sale has been made between the parties and signed by the party against whom enforcement is sought or by the party’s authorized agent or broker.” In other words, sale transactions of $500 or more cannot be enforced by the courts unless the sale agreement is in writing. Your written agreement should also specify how acreage will be measured. Realize that the acreage indicated on Farm Service Agency maps will not always match the acreage measured by acre meters or yield monitors on the custom operator’s planters and combines. To avoid disputes, decide in advance how acreage will be measured and have it stated in your contract. Each custom operator should provide you with a printed rate sheet, listing all services performed and the rates charged for each service. Custom operators have to charge enough to cover the cost of extra services or equipment, such as kernel processing, application of inoculant, yield monitors or other Global Positioning System (GPS) features. You might be asked to pay more if you have a large number of small or odd-shaped fields, since these will slow the operator down. In such situations, consider combining several fields into one if possible. Be sure to consider BOTH price and service. The lowest bidder may or may not provide acceptable service. Custom operators who frequently “underbid” normal rates for your area may not be profitable enough to stay in business for long. Will they still be available when you need them several years later? Or, if their rates are low, is it because they operate worn or under-maintained equipment that may be subject to frequent breakdowns? Will breakdowns end up costing you more in lost feed quality than you’d save from paying lower rates? According to the Department of Agricultural and Applied Economics at the University of Wisconsin-Madison, annual depreciation plus interest costs tend to run about 12 to 16 percent of a machine’s fair market value, on average. Annual repair costs will average 3 to 4 percent of the machine’s fair market value. There are no personal property taxes in Wisconsin, but if the machine is stored inside a building then the machine should generate sufficient income to pay for a prorated share of that building’s DIRTI-5 fixed costs. Insurance tends to cost between 0.5 and 1.0 percent of the machine’s fair market value. These fixed and variable costs, by the way, also represent what it costs the dairy producer to own assets of production, such as buildings, cattle, equipment and land. As with any kind of contractual arrangement, communication, mutual understanding, honesty and loyalty are keys to a successful outcome for both parties. Before the season starts, have an operating line of credit established with your lender. Your payment plan with a custom operator should be spelled out in detail in your contract. If your agreement calls for prepayment of part of your bill prior to actual harvest operations, be prepared to do so on time. Good communication is especially important during planting and harvesting seasons. The custom operator is expected to have their machinery and personnel ready to go. The dairy producer is expected to keep the custom operator informed of field conditions, weather forecasts, the progress of crop maturity, crop moisture levels, and so forth. You will need to be ACCURATE when giving the custom operator crop maturity and moisture reports for haylage, corn silage and high moisture corn. Be prepared for the custom operator to leave your farm if your crop is too wet to harvest and other nearby farms are ready. Use of a moisture tester or microwave oven is recommended to determine moisture levels accurately. If weather or field conditions change before the custom operator’s arrival, let them know as soon as possible. This will allow the custom operator to get work done elsewhere until your field conditions become suitable. Likewise, custom operators should inform you of all delays due to weather and equipment breakdowns as soon as possible. They should also be willing to listen to any concerns you may have, such as forage length of chop, driving over excessively wet fields, kernel processor settings, adequacy of bunker silo packing, etc. Dairy producers who need to provide labor for harvesting operations need to remember that custom operations do not stop for milking and other chores. If support cannot be provided during milking or other chore times, be willing to pay the custom operator for hiring extra help. Do not expect instant service on the day your crop is ready. Remember that your custom operator has no “special” clients. Your neighbor’s crop is just as important as yours. Most custom operators have a “set rotation” of clients. Respect that set rotation — the operator has good reasons for setting up the rotation in a certain order. For example, dairy producers on sandy soils will have alfalfa ready for harvest several days earlier than those on heavier soils. Also, do not “add” extra acres to the custom operator’s workload when he/she drives into your yard. This will disrupt the operator’s set rotation and cause hard feelings between neighbors. If you buy or rent additional land after signing a contract, check with the custom operator first before assuming that they can handle the additional acreage. You can help prevent breakdowns and delays by keeping your fields in good condition and FREE OF MAN-MADE HAZARDS. Such hazards include survey stakes, old wells, tires, fence posts, barb wire, small rock piles, old machinery and other debris. If a snowmobile club uses your land, make sure they remove all trail-marking posts after winter is over. These posts can fall down and get caught in machinery. Natural hazards also pose a problem. Hanging or fallen tree limbs should be removed. Soil washouts should be marked, and the you should expect to have some crop missed in and around these. You know where these hazards are, but your custom operator does not. Remove them or be prepared to pay for damages caused by hazards under your control. Some custom operators may have a clause to this effect in their contracts. Stones are a constant threat to the custom operator. Make sure to pick rocks on all new seedings, and wherever else it may be necessary. Try to keep fields as smooth as possible, and plant fields to enable faster operation of large equipment. Loyalty is another component of successful working relationships. Rather than searching out the cheapest rates each year and going with the lowest bidder, consider staying with one custom operator for at least several years. This allows the custom operator and you to know one another and build a trusting relationship. The custom operator and his/her crew can become familiar with your property and your style of operation, enabling your work to run smoother. As with any business, expect the custom operator to take care of regular customers first during difficult times. Contracting for service over two to three years also helps the custom operator provide more prompt service. To pay for such expensive machines, the custom operator has to operate at capacity and cover a certain minimum number of acres each year. If the custom operator has enough acres contracted, they can avoid having to “overbook” acres to meet fixed costs. When disputes arise, try to keep in mind that the custom operator’s goal is a satisfied customer. Make complaints known directly to your custom operator, not to neighbors or other custom operators (remember that most custom operators in your area know each other). By making your concerns known in a calm but firm manner, the custom operator may be able to rectify the situation to your satisfaction. But problems cannot be solved if you do not make them known. Use of a custom operator is one strategy which may improve profitability and labor efficiency on dairy operations. If a decision is made to use the services of a custom operator, spend some time searching for and interviewing reliable operators. Check references as appropriate. Once a custom operator is chosen, develop a WRITTEN CONTRACT listing all services to be performed and the price to be paid for each service. Payment schedules and interest charges should be specified in your contract. Be sure to have a line of credit established (if needed) to allow prompt payment for services. Always maintain clear, open lines of communication with your custom operator. Keep the custom operator informed as to cropping conditions on your farm, and expect the custom operator to keep you informed of their schedule, unexpected breakdowns, weather delays, etc. Remember that the custom operator cannot get to all farms at the same time, but the work will get done quickly with their large machinery once they do arrive. Do your part to prevent costly breakdowns by keeping fields free of hazards. As a final point, remember that in any contractual arrangement, the “Golden Rule” is a good rule to follow.